Join our tenth year anniversary celebrations by participating in #fitbitch10in10, setting 10 goals that you can work towards during 2019 to complete a life inspiring year of fitness and healthy change! Set goals and be part of something! 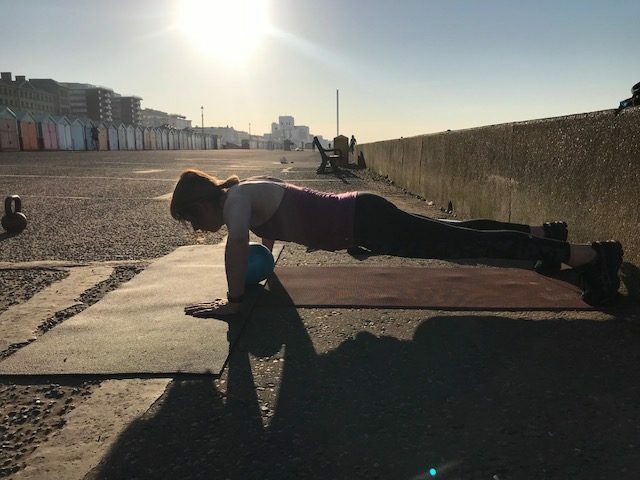 A 30 minute high intensity beachfront boxing session followed by a sauna at Beach Box Brighton , including a salt scrub, followed by an invigorating sea dip! Join us for a bluebell run through Stanmer Woods, Thursday 28th for all levels, or if you’ve got an entry, do the Raw Energy BlueBell Angmering 10 or 10 miles or BM10k. If you join us for the explore, it will be a walk run, dog jog whatever works. The main focus is seeing the amazing carpet of bluebells! 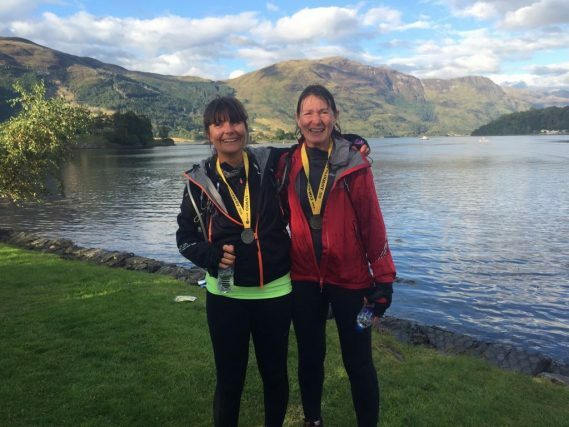 The Sprint distance comprises of a 400m pool swim, 20k bike and a 5k run easily achievable on minimal training simply for the experience of doing it. The swim is in a 25m indoor pool, you can do the bike on any bike that you have and the run will be a loop around the historic market town and into the grounds of Wilton House. Enter here (although we have a discount code if you have a membership card). To train for this, you will need a bike. The swim is in the pool. OR you can team up with two others to take part in a team relay and choose the discipline that works for you. Fitbitch Tri training plan involving 3-4 sessions per week (we’ll tell you the key ones if you have limited time) £30 plus admin fee. You will need to start training mid March. You will need a MTB and a sleeping bag as a minimum for this urban adventure. We’ll meet at Stanmer Park and cycle out for a max 10 mile ride to our secret sleep out location. You’ll need to bring your own food for dinner but we’ll watch the sunrise with a cup of tea before cycling back to Stanmer for breakfast. Limited to 6 people. If you have never done open water swimming, you’ll think it’s terrifying. Thoughts of Jaws come to mind. But honestly, once you do it you’ll wonder why you’ve never done it before and you’ll never want to go back to a swimming pool again … except in the winter perhaps! We will have some discounted group training for this in conjunction with Brighton Sealanes. Brighton Sea Lanes also offer 10% discount for single one-to-one lessons to those who have a Fitbitch membership card. 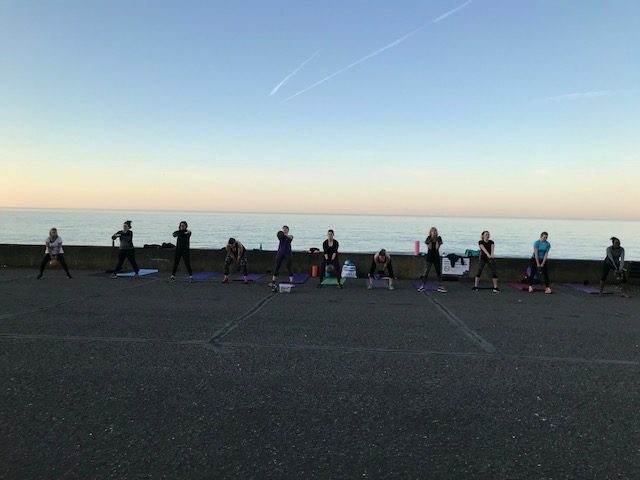 Join us on the seafront just before the school holidays begin for a beautiful restoring, life affirming 45 minute yoga class before a swim in the sea to set you off fantastically for the day ahead. Get up, get out and watch the beauty of the sun rise as you flex and stretch on this beach front yoga session before joining us to try out stand up paddle boarding, or just swim! 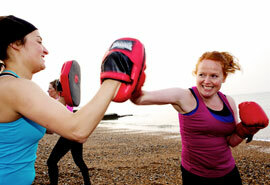 A 30 minute high intensity beachfront boxing session followed by a sauna at Beach Box Brighton and an invigorating sea dip! Join us for a get together at Hove Park parkrun, the home of many Fitbitches running their first ever 5k in the last ten years. Breakfast at Three Stack pancakes after! Walk it, jog it, run walk it, this beautiful 10 mile trail run is hilly but you can do it in fancy dress with friends and your reward? Other than the endorphins and feel good achievement, an ENTIRE SPORTS HALL full of mince pies! Take part in #fitbitchb10in10 to help inspire and motivate others by posting on IG or Twitter using the #fitbitch10in10. We are now offering Fitbitch membership cards which cost £20 for the year (plus P&P), which entitles you to 10% off our curated events plus 10 % discount with selected local partners and event partners. At the beginning of every year, Strava, the biggest tracking platform for runners and cyclists in the world, crunch all their data to reveal big insights into everything from the most popular running distance for women (half marathon) to the female age group that runs the furthest and fastest (women aged 42-49, so who says getting older means slowing down?). 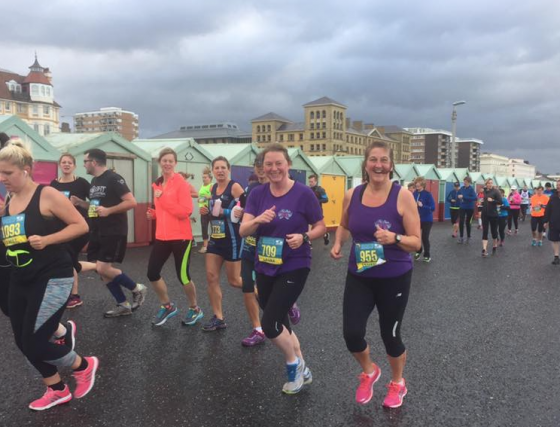 But what we were most interested to see, was the extent to which setting a goal encourages adherence to exercise with 89% of those who set a running goal for instance, still sticking to running up to six months later. So, if you always find sticking to exercise a bit of a drag, then the answer could be as simple as finding a goal that inspires you – and perhaps scares you a little – to keep you motivated. It’s why we always work with each and every customer who comes to us to help them set a goal that challenges but inspires them, whether it’s to be able to do ten full push ups by the end of a four weeks course (and yes, many come not being able to do one on their knees so it’s possible), run their first 5k Parkrun, complete an obstacle race or on their first adventure race. You don’t need to be an athlete or aspire to be one to have a goal, you just have to recognise that you want to change something and be inspired to try. That’s why for the Fitbitch tenth anniversary, we are launching #fitbitch10in10, providing 10 goals that you can take on over the next ten months to inspire you to get fit and build your confidence while training with a group of like minded women. You can train with us virtually or join us in some group sessions. There is no limit on age and all fitness backgrounds are welcome. 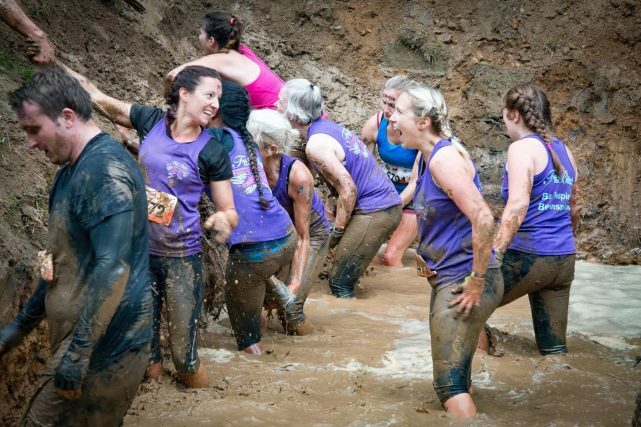 We have a track record in helping women who are total fitness newbies take on some big ‘firsts’ from park runs to triathlons, cycle rides to Tough Mudder Obstacles. 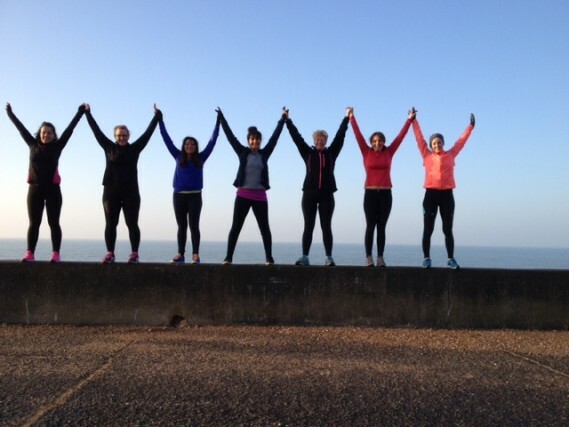 Our four week courses are the absolute foundations upon which you can build the stamina, fitness and belief to take on any of these challenges, along with a committed group of other Fitbitches. 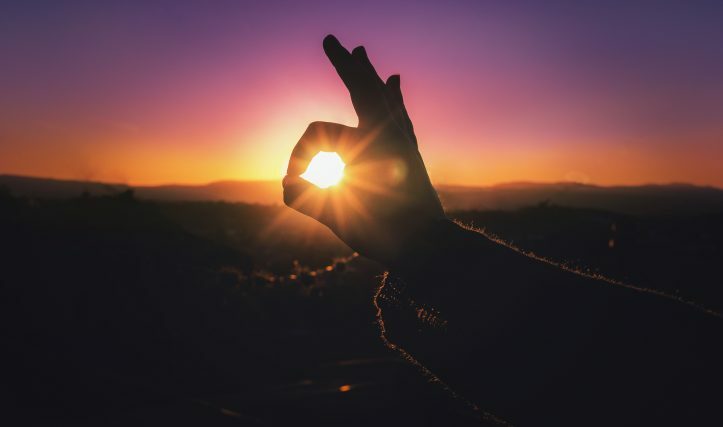 It may seem impossible to you if you’re reading this now, but nothing is impossible when you set a goal and work, one step at a time, to reach that goal. Click here for details of #fitbitch10in10. 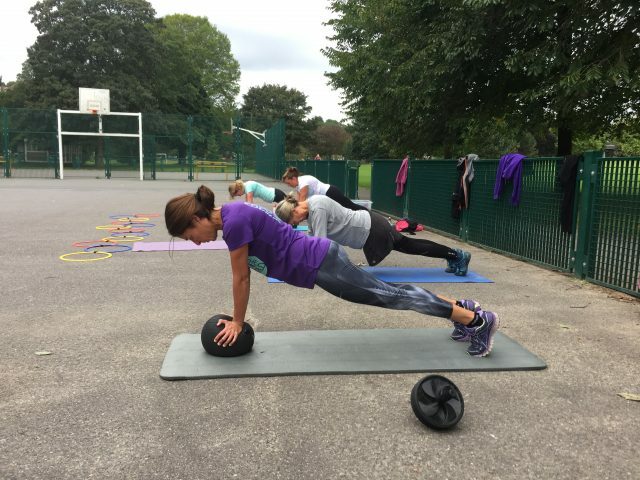 Our Awaken starts on Monday, aimed at awakening all your senses to the joy of exercising outdoors, and a holistic approach to fitness, incorporating everything from meditation to myofascial mobility work, kickboxing to kettlebells, Barre work to boxing. For those currently on Summer Bodies who would like to add on an extra two weeks week, you can purchase at a special rate below. There are only 4 available at 6.15am and one at 7.00am. This rate is ONLY for those currently on the SB bodies course. 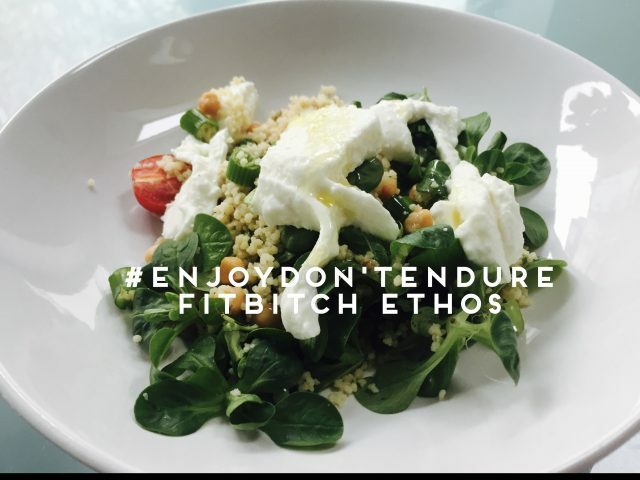 A six week healthy eating and exercise challenge featuring a whole variety of workouts from the world of Pilates, Yoga, Boxing, running, kettle bells, circuits and games, we programme the course to ensure your body is always challenged to keep it changing and you’re always having fun. Those who commit to the six week course will get an complimentary one on one assessment before, during and after the course, where we will discuss your goals and measure your body statistics so that you can see the difference from the beginning to the end (four weeks, beginning and end only). The course, as always, comes with our complimentary eating plans which have helped hundreds of women lose weight over the last eight years. There is no better way of getting rid of stress and feeling fantastic than a boxing session. And with good technique, it delivers a fantastic all over body strength and conditioning workout, particularly when combined with kettlebells. This 45 minute class incorporates boxing sessions segmented into three minute rounds to replicate real-time boxing ring conditions, along with a final 15 minute kettle bell workout, to help build strength and stability. Lifting weights, particularly in your 30s, 40s and upwards is vital for maintaining muscle tissue which, in turn, helps balance and boost optimum hormone health. If you’ve never tried boxing or kettle bells before, don’t worry, we run through technique and re-instill this even if you have done it before. Good technique means that you use the right muscles which means that you get even better results. Location: The class takes place in front of the old Bowling Pavilion adjacent to the children’s playground in Preston Park. Classes cost £12 per session or you can book ten classes to before April 1st 2018 for £100. Terms and Conditions on 10 classes: Classes are non refundable or exchangeable and must be taken consecutively from April 13th – June 22nd 2018 (no class 25th May). To book all ten, email info@fitbitchbootcamp.com. You can book individual sessions direct via our booking page.